Need an area rug cleaned in Methuen? Methuen's carpet and rug cleaning professionals at Certified Green Team have been in the carpet cleaning business for more than 10 years. Our rug cleaning products are designed to give the best cleaning results available without causing any damage. Our professional service and carpet cleaning expertise has made Certified Green Team the best area rug cleaner in Essex County, Massachusetts. Call (617) 586-2586 today for free rug cleaning quote. 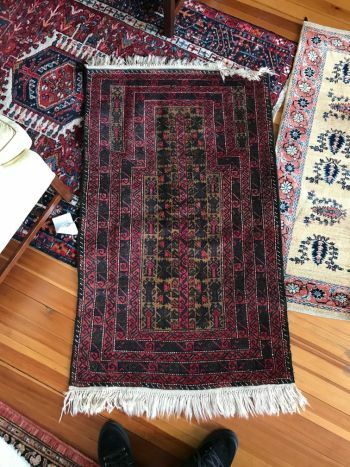 Is your Methuen rug dirty? Get your rug's true colors back with a powerful deep cleaning by Methuen's area rug cleaning specialists at Certified Green Team. We've been professionally cleaning area rugs in Methuen, MA since 2009. Certified Green Team won't damage your rug. One off-the-shelf product is not going to work on every type of rug. In fact, using the wrong product or cleaning technique can result in permanent rug damage. Our professional rug and carpet cleaners in Essex County are trained to determine the correct cleaning product and the safest cleaning method for every type of rug out there. Certified Green Team will identify and pretreat trouble spots, surface vacuum, then rinse via hot water extraction. Call (617) 586-2586 to schedule a professional Methuen, Massachusetts area rug cleaning.